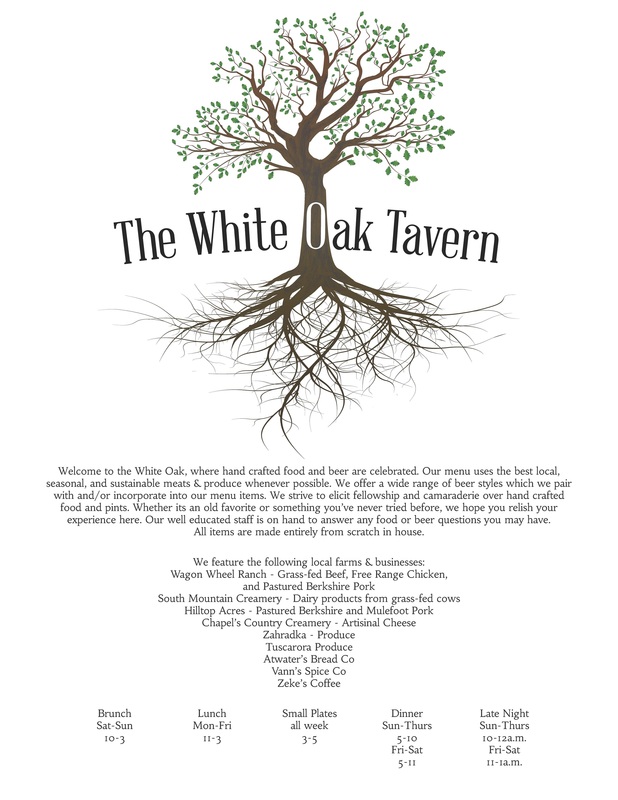 With the opening just a week away, the folks at the new White Oak Tavern in Ellicott City have shared their winter menus with me – and I am going to share them with you. In fact, each day this week I have been posting a different menu. There are five in all, plus a kids’ menu which will include Grilled Cheese, Chicken Nuggets, and Mac’n cheese. Today’s menu from White Oak Tavern is the Small Plates Menu, which you can enjoy daily from 3-5pm as well as Late Night Friday and Saturday from 11pm-1am and Sunday through Thursday from 10pm-12am. Check back here tomorrow to see what’s for dessert at White Oak.